Well, you can’t live without it! 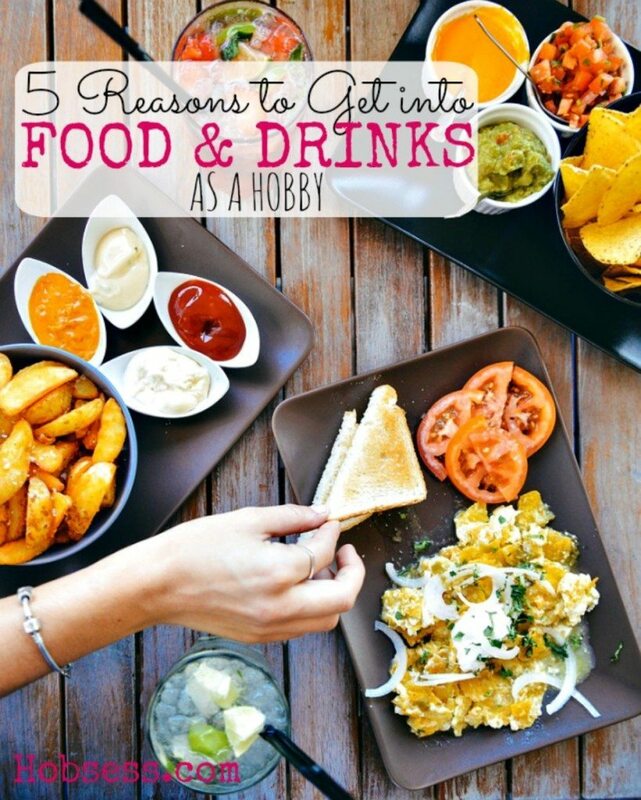 Why not make Food & Drinks your hobby? When you get good at making food and drinks, suddenly you are the person that everyone wants to be around. Whether you are famous for your crockpot lasagna, killer margaritas or holiday divinity, your skills are in demand! Choose from the list below and get started on the hobby that you are attracted to. We all have celebrations that we have to be a part of, like it or not. Become the person who has perfected your food & drink hobby and be prepared for every birthday, anniversary, holiday or whatever your family throws at you. The parties will revolve around your incredible creations. You will be hounded for your recipe, your technique, and your secret sauce. So just get ready, rock star. Since food and drinks are a part of our everyday lives, you may find that you have a knack for creating special food or drink concoctions that no one has ever done. You also may have a special gift to create vegan, healthy, or vegetarian meals that benefit you or others and whether you decided to share your talents with others is up to you. You are always adding your own special creativity to a recipe. It doesn’t matter if this is natural or learned. What matters is that it is all yours. We are always searching online for recipes, food and drink hacks to save time, or just trying to find something to make for dinner. Most people do. Imagine being the “go to” person for your hobby. You can always create a blog, YouTube channel or just share on FaceBook, your own personal talent for cooking and mixing. What would be better than sharing your talent with others who need it? There are a lot of people out there that cannot cook, grill, bake, mix, etc. and they are looking to learn. Maybe YOU could teach them. I know. There’s quite a few. And this isn’t even all of them but it will give you a place to start. Let me hear from you below, which “Food & Drink” hobby are you ready to try? It’s time to make food & drinks your hobby. If you already have a hobby in this category, what do you do and what is your reason for doing it? Give us some inspiration! People interest on food and drinks are increasing day by day and they are trying to take taste of different kinds of foods and drinks and experimenting on this..!!! the post is really nice and inspiring…!! !